When is a Newborn Ready to go Outside for the First Time? There is not really a right or wrong time to start exposing your newborn to fresh air. It’s up to you and how well you are feeling about taking the baby for a walk. In addition, you may ask your doctor as well if your child is having difficulties adjusting outside of the womb. Women have been giving birth for hundreds of thousands of years outside and still continue to do so in many third world countries. Children become more resistant to colds and viruses if they are taken outside every day and walked in their stroller or in a cart that you use if you are ready to bike. In the 1950’s, mother’s were sterilizing everything and that included bottles. This was a long process and many housewives were down right exhausted. Times changed in the later years of the 20th century when disposable bottles were introduced by Gerber. Gone were the sterilizes and eventually a mother of a newborn stay at a hospital went from 10 days to 5 days to one or 2 days depending on your insurance. We are well into the 21st century and women are on the go and don’t make a lot of time for themselves because most have to go back to work. Spring is a wonderful time of year to start walking your baby. You can keep your figure trim and help baby build their immune system by walking them outside in fresh air for a good 45 minutes a day. If you are on a time crunch, 20 minutes is sufficient. You as a mom will find that your child has a less likely chance of catching their first cold until they are about 9 months old. 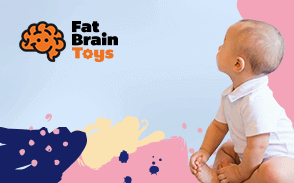 Fresh air is just about as important as your baby’s nutrients. Normally a child will develop a cold when they start teething because their resistance is down, however, your child should not be sick until teething if you give your child enough fresh air. Make sure you dress them the way you feel comfortable. If the weather is 45 and the winds are brisk, make sure baby is warm and always keep a cap on the baby’s head. This is a good way to avoid ear infections. 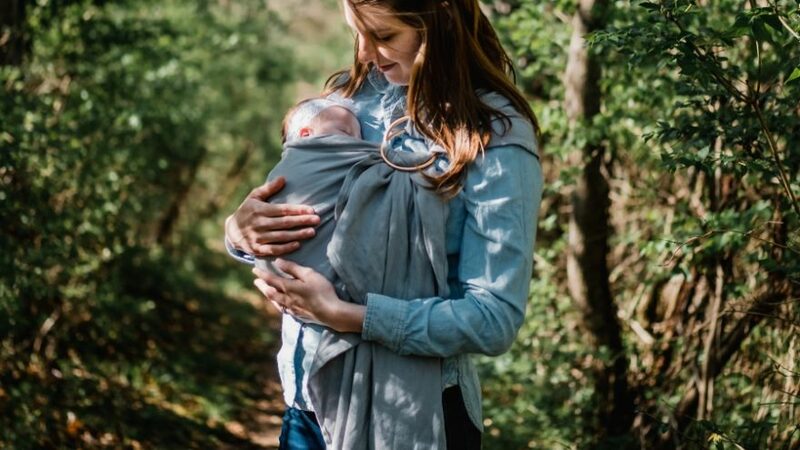 Wrap your newborn in some blankets and you can also keep the wind out of the carriage or stroller by creating a tent around the front so the wind won’t be cold on baby’s face. Baby can be walked in any kind of weather. Make sure if you go out in summer and it’s 100 degrees, make sure you walk at night after 6, when the sun is not so strong. Baby will sweat as much as you do if dressed too warmly. Don’t take your baby out walking during ice or major blizzards or rainstorms because this is causing danger to you as a parent so baby is endangered as well. Make sure to keep baby out of direct sunlight because their skin is delicate and will burn easier. This is the kind of skin damage that can cause a lifelong risk of skin cancer. Remember to keep them in the shade or under an umbrella. Try to stay away from places that you know people are ill. A newborn is still developing their immune system so it’s suggested that you don’t take the baby to crowded malls until they are at least 8 weeks old. A fever can be dangerous for any infant under the age of 8 weeks because it could be a form of meningitis. Ask anyone who wants to hold or touch your baby to wash their hands. Make sure Baby’s Vaccines are up to date: Your doctor might be a bit cautious if your baby was a premature baby or has a condition that affects baby’s immune system, like HIV for example. Remember if the weather is nice and it’s just you and baby, fresh air might be good for both of you during the day. Always remember to ask your doctor or nurse questions to see what their opinion is when you are in doubt. Dress baby as you would yourself: Don’t use extra layers in the summertime, if it’s a hot one, a simple diaper will do and do not use sunscreen on your baby. Their skin is too delicate for these lotions with high SPF until your doctor says it’s ok to use them. If you dress in layers, dress baby in layers. This way if it warms up, you can both start removing a layer to be comfortable and of course, you will have to help the baby. Most babies will sleep the whole duration of the walk and after, so make sure the layers are easy to remove because fresh air might cause your little pal to sleep an extra 2 hours. Protect Baby from the Elements: The American Pediatric Association does say if you really must, just use a small amount of sunscreen on their nose and face. There are many ways to shield baby from the sun so don’t use sunscreen unless you have to. The best sun protection is shade and clothing as long as the clothing isn’t too warm. A little bit of sun doesn’t hurt your baby when the baby is in the shade. Chances are baby will get a bit of a tan in the shade versus a red sunburn. All this has to be done in moderation with any outdoor activity at any age. If it is windy out make sure your child’s skin is protected so it doesn’t get chapped from the wind. In addition, baby’s hands can get chapped from the wind and this can become very painful for your baby. When you arrive home from an outing, make sure you wash your baby’s hands especially if someone touched her during the first month of life. After your child reaches the 8-week point, it’s safer to expose the baby to different people. Walks give you and baby endless possibilities to stimulate their minds. Get out your walking shoes and enjoy the outdoors with your baby. Walking outside gives your baby an opportunity to see there is a world outside of the home. This is also an opportunity for baby to explore this world. They notice every new sight and smell and they learn valuable experiences. In addition, you have the time to bond with your child and it’s great exercise for mom. You are more relaxed when you are walking and so is the baby. You can talk to your child by pointing out different things like the sky, green grass, hills etc. The sounds of the birds and insects and cars and they go buzzing by or the birds and insects as they are singing and flying by.